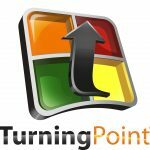 Purchase 4 year license of TurningPoint polling software for $796 and receive a 32 Seat NXT kit free of charge. Valid for U.S. domestic customers and K-12 institutions only. Cannot be combined with other promotions. Other restrictions apply. Offer valid through December 31, 2016.